We have all seen the commercials that offer a fast and easy way to get out of debt. They usually feature a person holding her head in pain and a table filled with scattered papers that are presumably overdue bills. If you have come to be skeptical of anything that offers a fast and easy way out of debt and sounds too good to be true, you are certainly not alone. That is because there is no easy and fast way out of debt, as anyone who has dealt with excessive debt can tell you. Many of these commercials are advertising questionable services which could actually cause you to dig yourself even further into debt. These types of predatory lenders have given a bad name to legitimate debt consolidation options and caused a number of misconceptions as to what debt consolidation actually is. 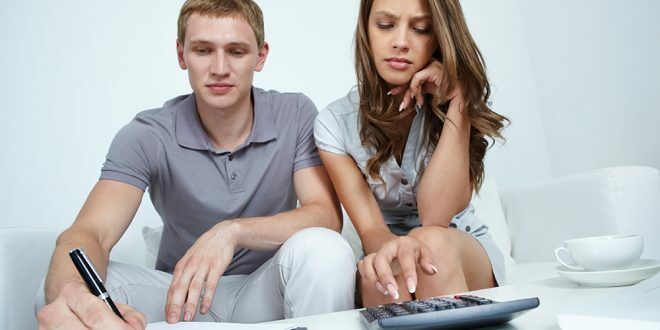 While there are several predatory companies that seek to take advantage of unknowing consumers by promising unrealistic solutions, there are other debt consolidation options that can be life-savers for those who are currently drowning in debt. Although it may not necessarily be fast or easy, debt consolidation truly can lead to regaining your financial freedom when done responsibly. While there are a number of strategies and techniques available for debt consolidation, the basic concept behind them all is relatively simple. A person who is struggling with excessive debt can take out one large debt consolidation loan in order to pay off all of his current credit cards, medical bills, unsecured personal loans and other similar debts. This essentially consolidates all of his current debt into one large loan with only one monthly payment. There are a number of benefits to debt consolidation, not least of which is the simplicity involved in reducing several bills with various due dates into one monthly payment. For those who are not especially organized, this can help them avoid missed payments, late fees and all of the other complications involved with many different payments of various amounts at different times of the month. But more importantly, the goal of taking out a debt consolidation loan is to allow you to reduce the total amount you are required to pay each month and regain control of your finances. Depending on your credit score and other factors, a debt consolidation loan should have a lower interest rate than most or all of your current debts, thus reducing the total amount you owe. In addition to a reduced interest rate, these loans can further reduce the amount you pay each month by spreading out the length of the loan. Debt consolidation loans are for fixed periods– usually between three to five years– and the monthly payment could be significantly lower than credit cards or other bills that are expected to be repaid in a shorter amount of time. Even if your credit has been severely damaged by your current debt problems, you should still be able to qualify for a debt consolidation loan. If you are uncertain of how to get debt consolidation loan with bad credit, you could try any number of online lenders that are willing to work with people in your situation. The key is avoiding the predatory lenders that charge hidden fees, have overly complex terms or seem to have shady business practices. But just as important than the lender you choose is how you approach your own consolidation. You must fully educate yourself on the terms of your loan, develop a realistic and responsible plan and be willing to change the behaviors and spending patterns that allowed the situation to get this bad in the first place.